It’s great that so many of us have the ability to choose among dozens of food options whenever we go to the grocery store, but is that what we really want? Inspired by the Paradox of Choice, as explained in this TED talk by Swarthmore College psychologist Barry Schwartz, some supermarkets, restaurants, and other establishments are starting to offer less choice as a way to save money and eliminate food waste. As much as 40% of the United States food supply goes to waste every year, up 10% since 1974. Companies are taking advantage of growing piles of data on what sells and what doesn’t to figure out ways to cut waste and increase profit. One of the most efficient is simply offering fewer options. The Stop and Shop/Giant Landover chain offers fresher products in smaller varieties, which results in savings of as much as $100 million a year. Entire food categories are eliminated and the result is less rotting food, a three-day average on fresher produce, and higher customer satisfaction. Trader Joe’s is a popular chain adapting a similar model, stocking 4,000 products instead of the staggering average of 50,000. Trader Joe’s is one of my favorite places to shop because they’ve already done the work for me. I just roll up to the cereal aisle, grab the plain grain option and one of three sweet cereal options, and get out. Same goes with items like peanut butter, almond milk, and tomatoes. I don’t need to choose from 36 peanut butter brands that all fluctuate within a dollar in price. Find me a peanut butter that is made of quality peanuts and tastes good and get the rest off the shelves. 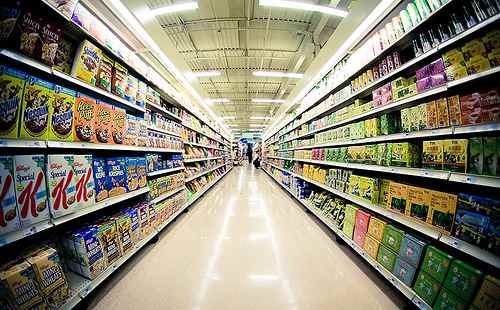 Do you prefer shopping at places with one or two options as opposed to every brand in the country? Do you agree that it would cut down on the time and stress of grocery shopping if there were simply fewer options?